Toilet training your toddler is a big milestone and you need to make sure that they are ready. It's one of the milestones that I have not been looking forward to. However at nearly two and a half Blake is starting to show some of the signs that he wants to potty train such as telling us when he needs his nappy changing. 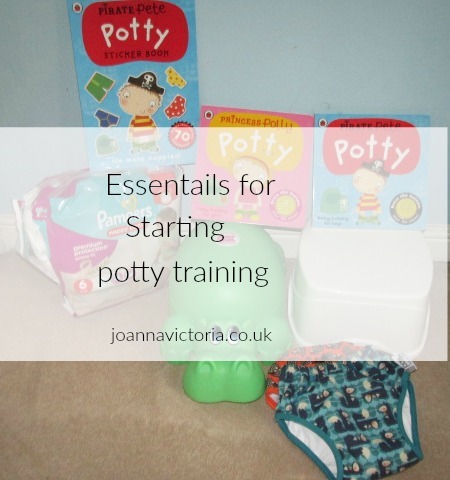 I've started to get some items together ready for when we start trying and wanted to share with you what we have got and also other items we need to purchase ready for the potty training journey ahead. A potty is a must when it comes to potty training. There are so many different designs out there from basic ones to musical ones. Kiddies Kingdom sell a wide range of different pottys so you will find one that suits you and your child. We have a three in one potty at home which is a potty, trainer seat and step stool. We now have this cute hippo design too for Blake to use over at his granny's. The hippo potty from Kiddies kingdom comes with a handy lid to keep the potty covered when not in use. a step stool is a must for your toddler to be able to reach the sink and wash there hands once they have used the potty. It's important for children to learn to wash there hands once they have used the potty and helps to encourage independence. This Tippietoes step stool is also from Kiddie kingdom. A selection of pants is also a must from regular pants with your child's favourite character on to training pants its good to have a good amount as some may have to be thrown out to begin with. Training pants are ideal for using when potty training as they still have some protection from accidents. Close Parent super soft pop-in training pants are available in two stunning prints. With a soft jersey outer shell and waterproof layer with an absorbent panel the training pants are designed to hold one medium wee and look and feel like grown up pants. 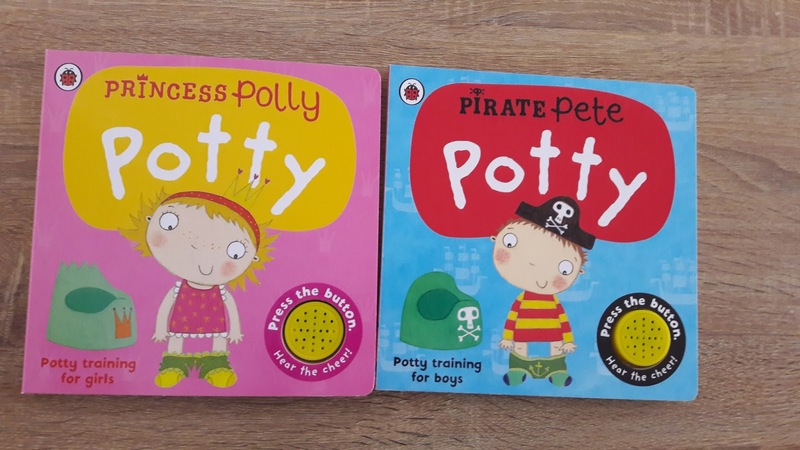 These Princess Polly/Pirate Pete potty training books are ideal for your little boy/girl to introduce the idea of using the potty and having their own pants. The book is clear and informative and encourages children to interact with the story by pressing the "cheer" sound effect. I was sent the princess copy and decided to then purchase a copy of the pirate one myself including the sticker book which is also a great with introducing the idea. Blake much prefers to wear pull ups these days we mainly use Aldi Mamia ones or Pampers as unfortunately Blake has an allergy to other brands. Pull ups are handy in helping children to learn to pull pants up and down for toilet training and also handy for night time use when your toddler may toilet trained during the day but need to wear a nappy at night time. I hope this post is helpful for you if you are looking into starting the wonderful and slightly frustrating journey of toilet training. 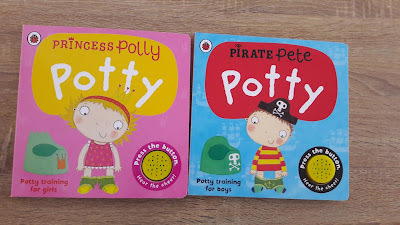 If you have some other ideas that are essential for starting potty training I'd love to know. This has come at just the right time for me. I am considering staring toilet raining in a few months with my little man. That potty is super cute! we are going to be attempting Potty training this summer - those training pants look great! Oh potty training my twins was a mission! I had the Pirate Pete book that they really enjoyed. We found sticking to pants rather than pull ups really helped (even though it was a bit nerve wracking when out and about). Great post!! We are in the middle of potty training but have a toddler who refuses to poop on the potty or toilet. So cool that there are so many helpful things now for parents. Must have been a different scenario altogether back in the day. We have come a long way when it comes to parenting!